So what do all the lines and shapes mean? What do the tarot cards predict? Parties are tailored to your own requirements. Guests can pay separately or a one off fee is charged and then all readings are free to participants. The guidance of the tarot is invaluable and can show you how best to go forward in difficult times or with love choices. For more than 6 guests another professional palm/tarot reader will accompany me. We will arrive prior to your guests – if possible a quiet area for readings is best. 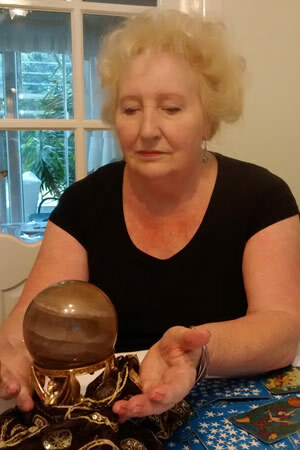 If you wish – a demonstration can be given prior to beginning inividual readings. We are based in the midlands area but are happy to travel further afield for larger bookings. We can cater for groups from 5 people to 200. Please contact Kate on 0121 745 1975.